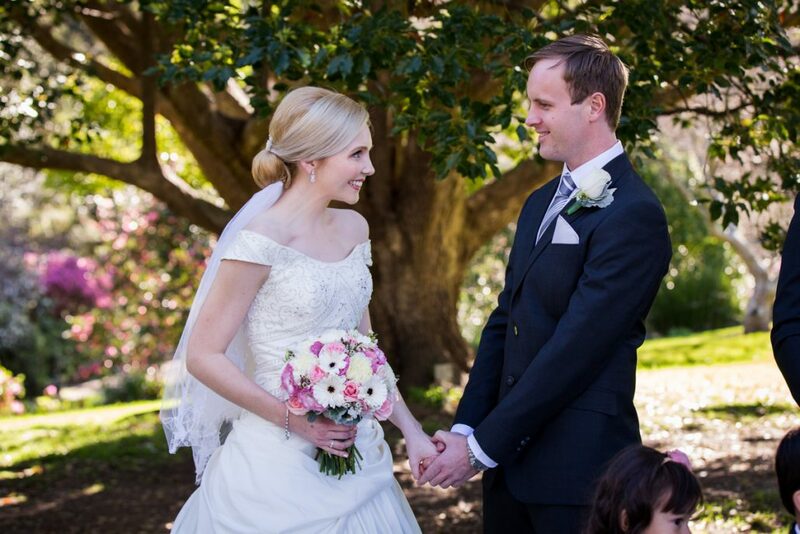 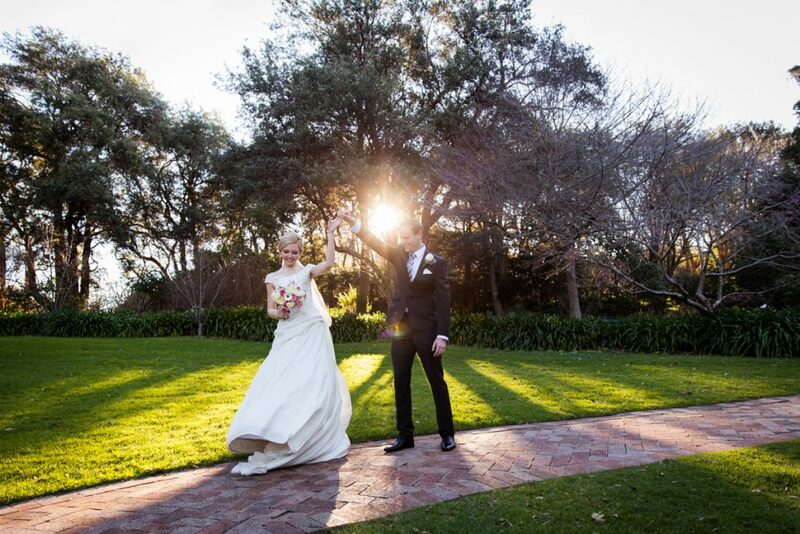 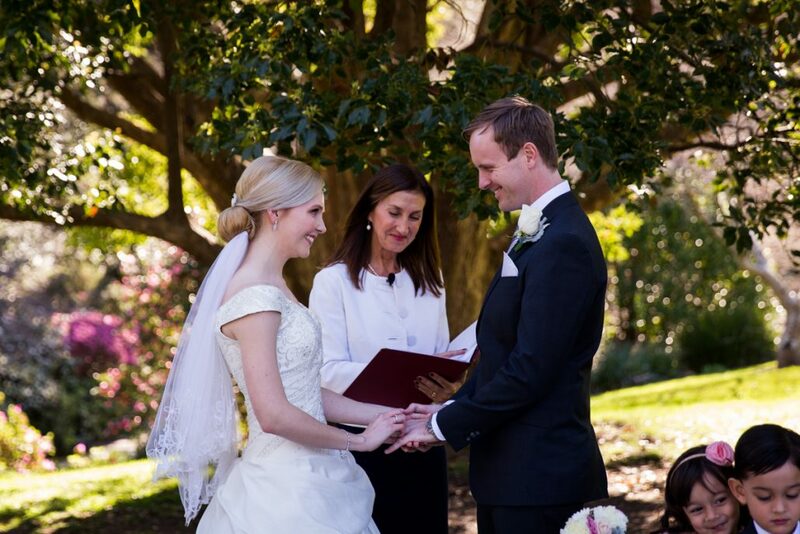 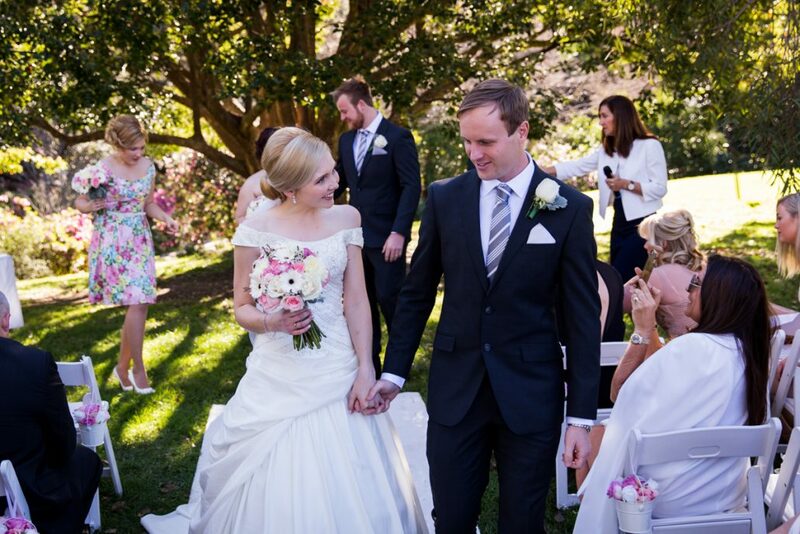 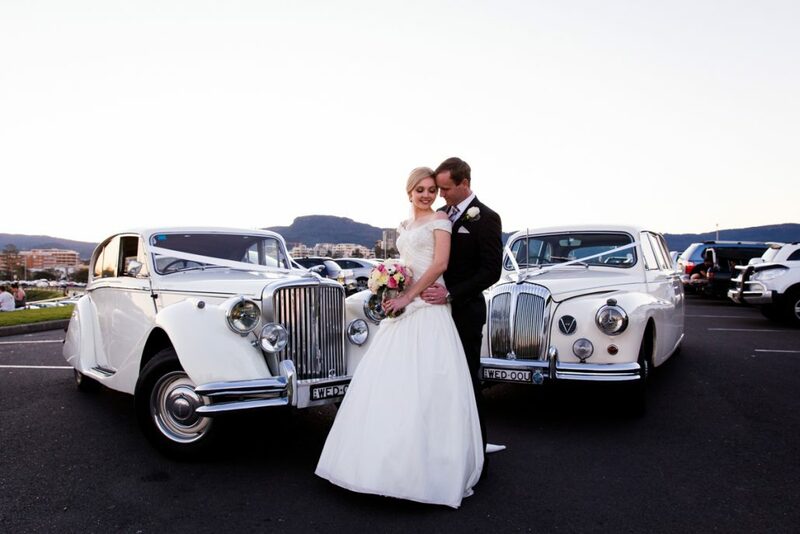 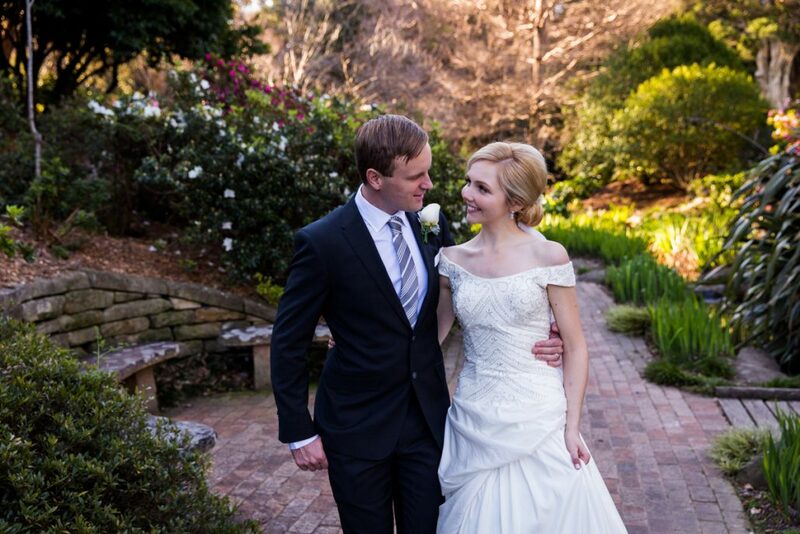 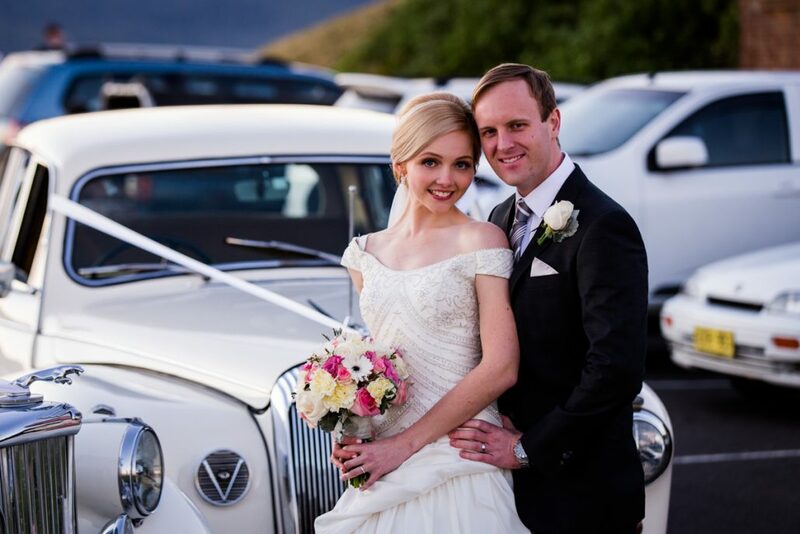 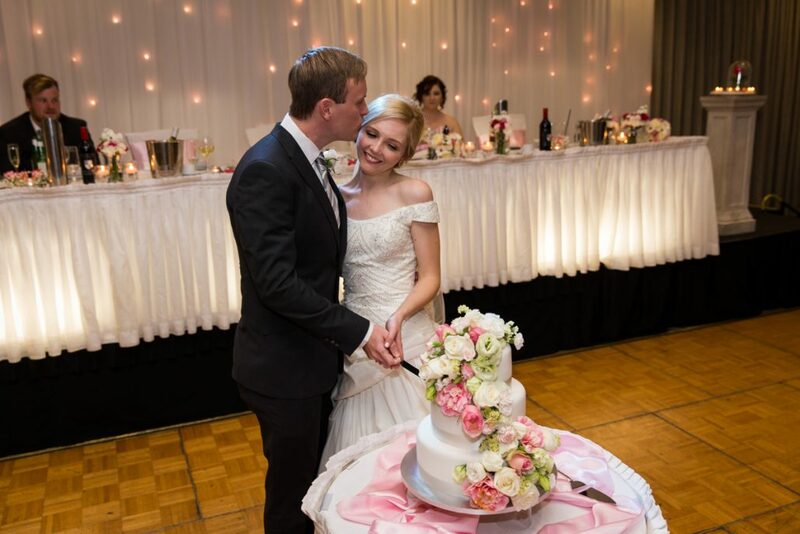 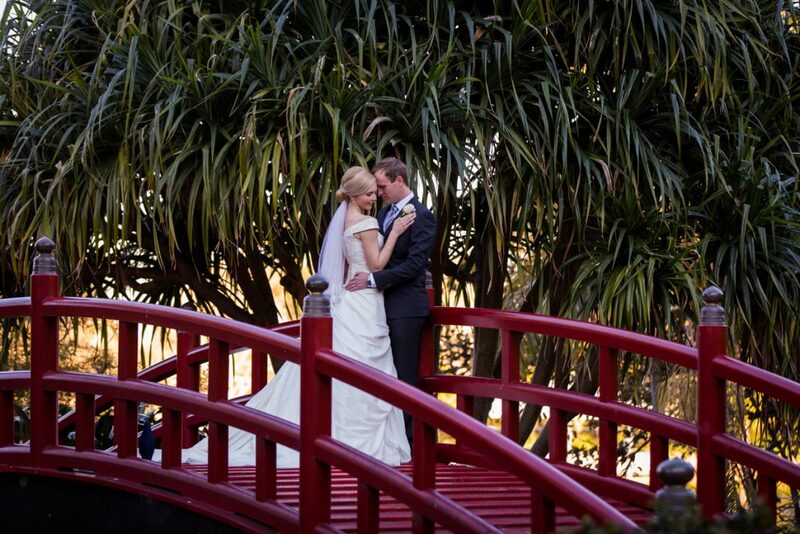 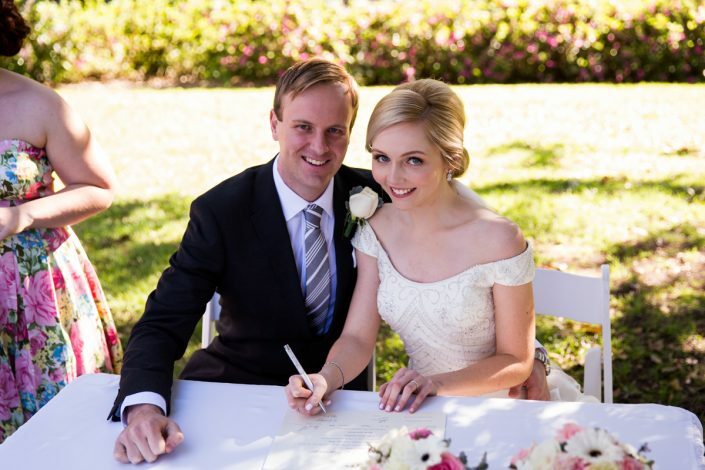 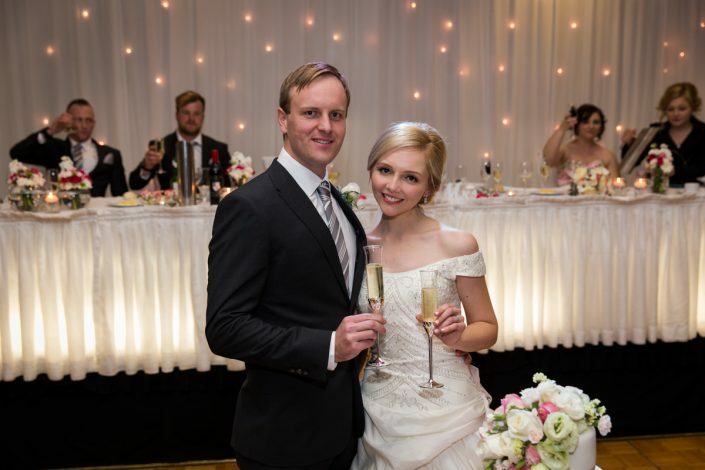 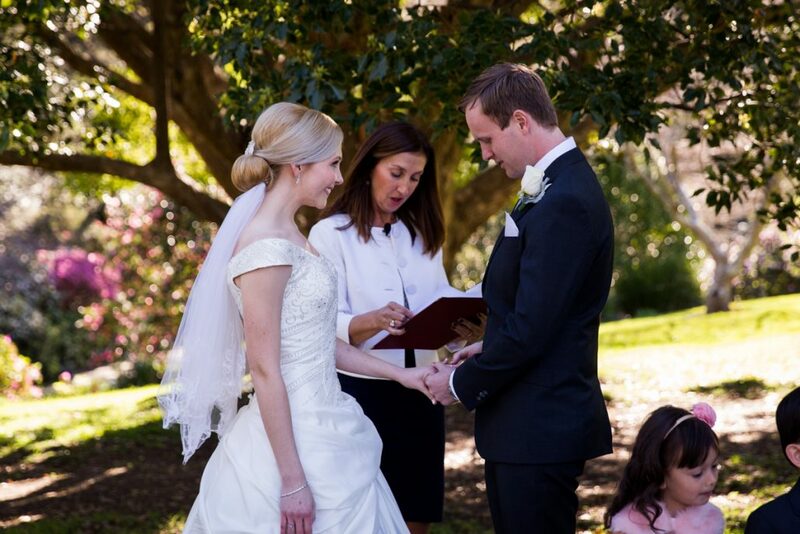 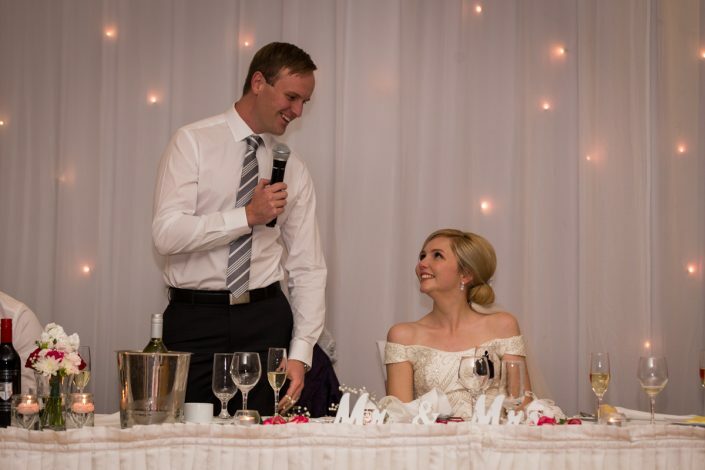 Rachel and Joshua were married at Roma Street Parkland in August. 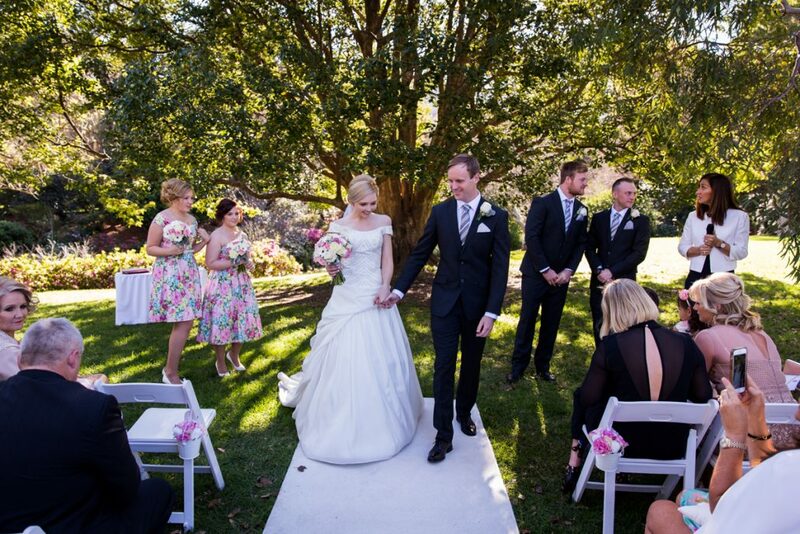 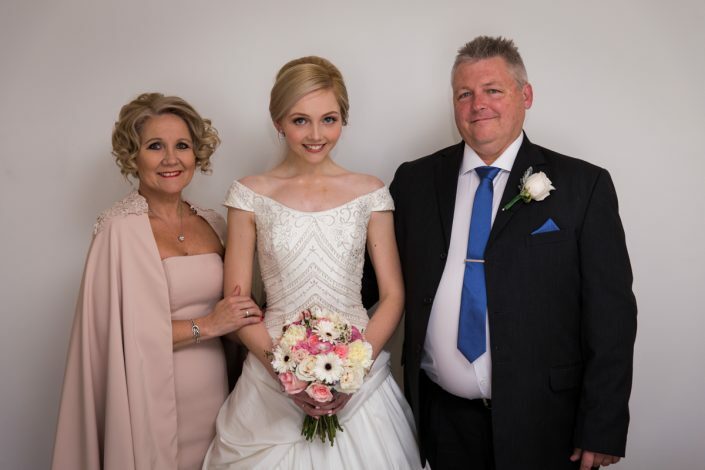 They had a wonderful wedding in the early afternoon surrounded by their family and friends. I have gotten to know Rachel and Joshua quite well over the last couple years having shot their engagement shoot last year in September. 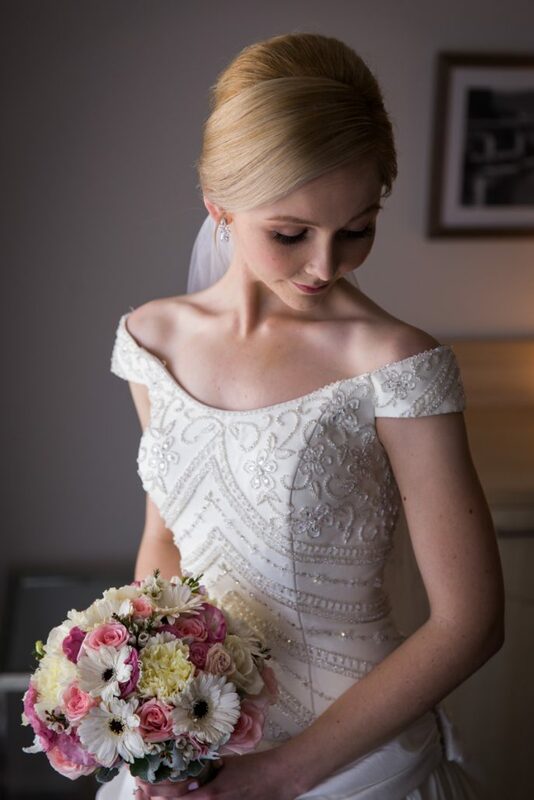 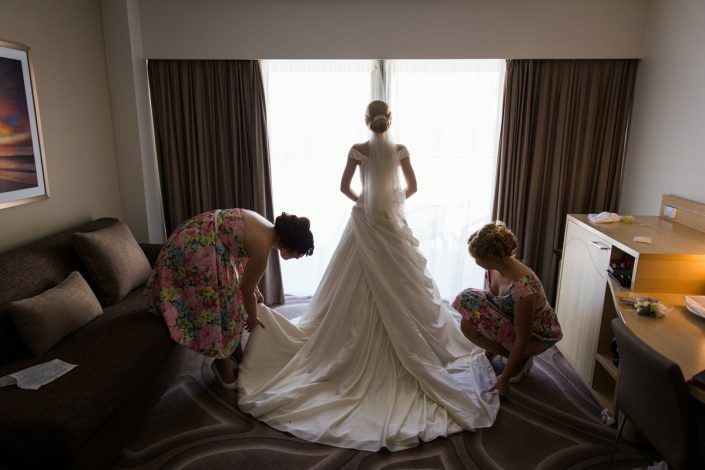 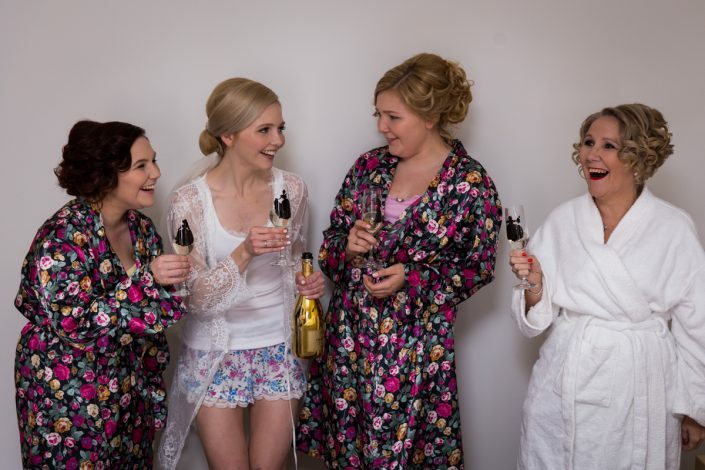 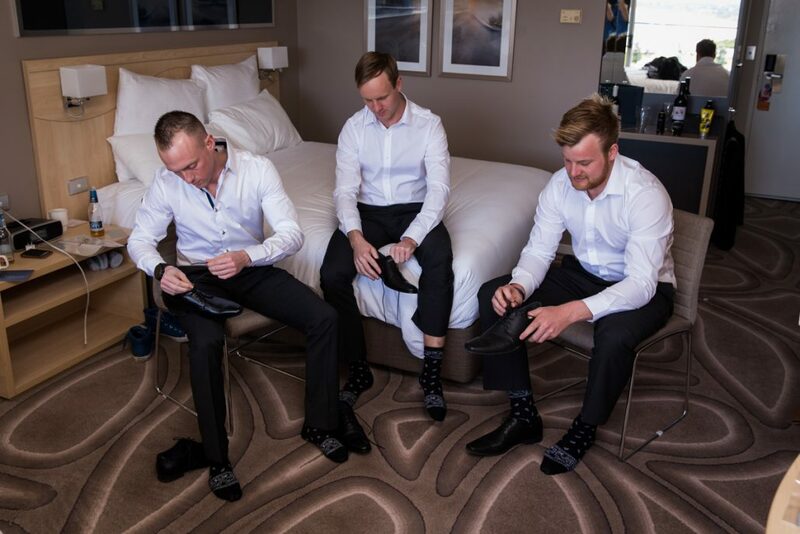 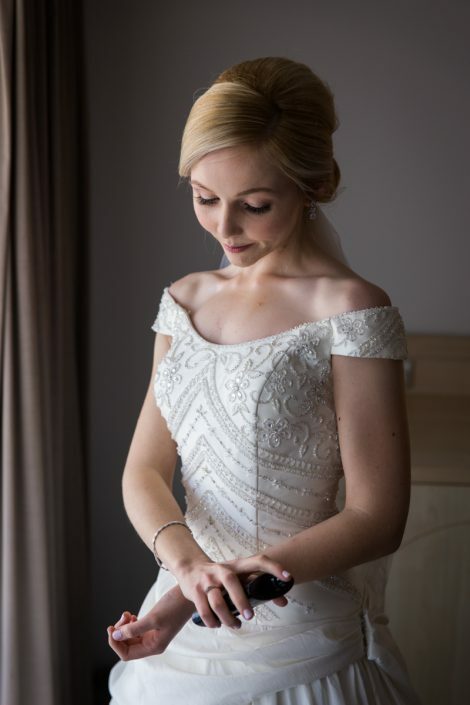 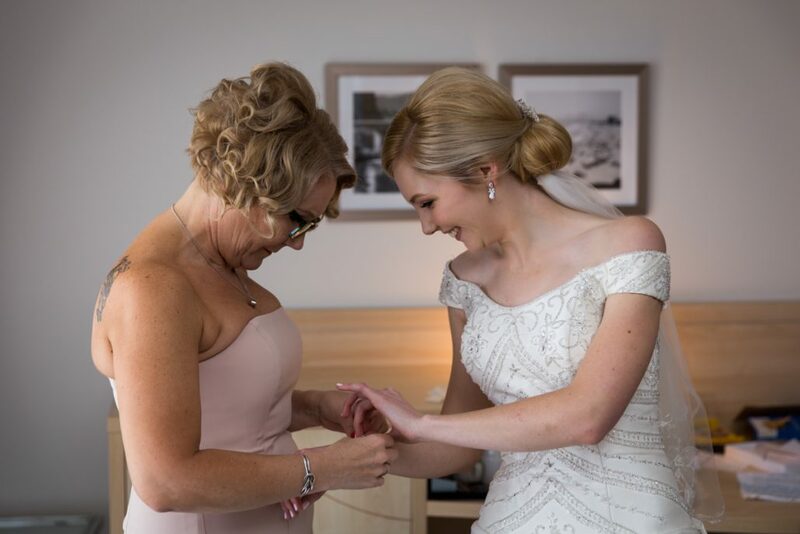 Rachel and her bridesmaids got ready at The Marriott in Brisbane while Joshua got ready at his home in the Gold Coast. 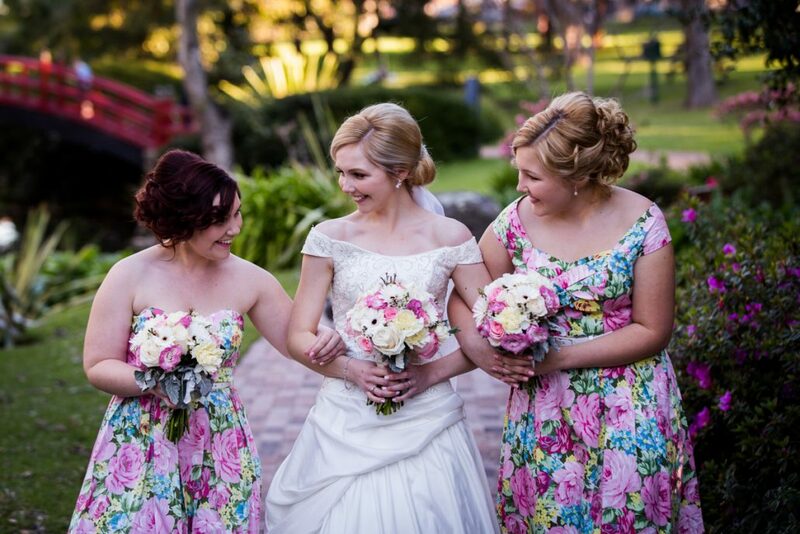 Rachel looked absoluely stunning and her sisters looked amazing also. 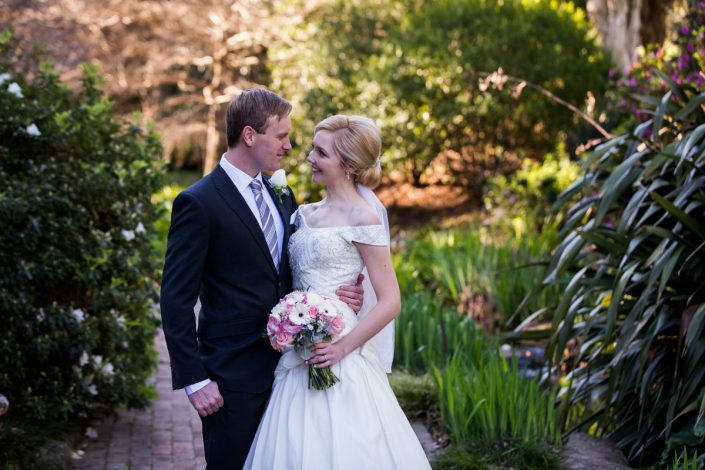 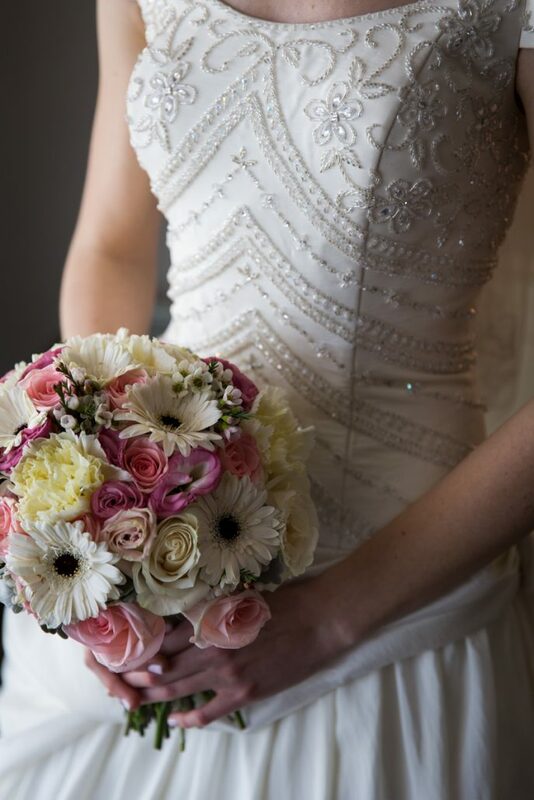 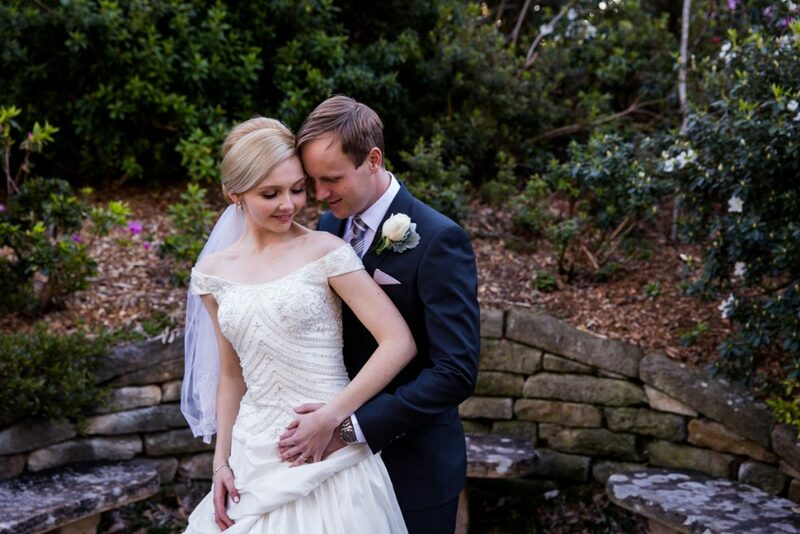 Rachel and Joshua had a wonderful ceremony with created some beautiful photographs. 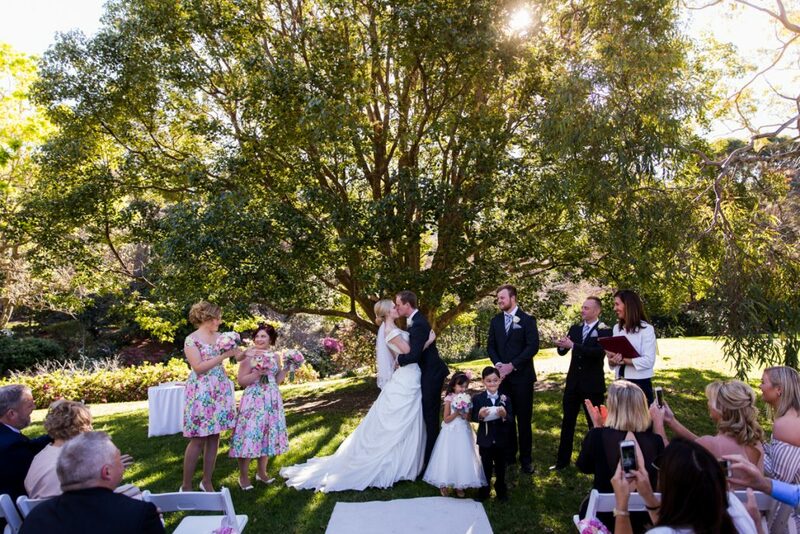 The ceremony was conducted under a tree which gave some lovely soft light as the sun set behind them. This allowed for some sunflare in the wedding photographs. 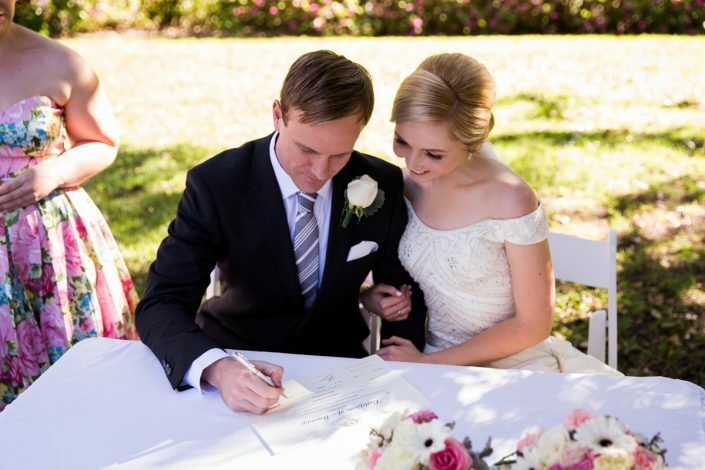 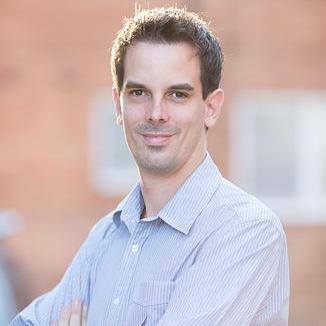 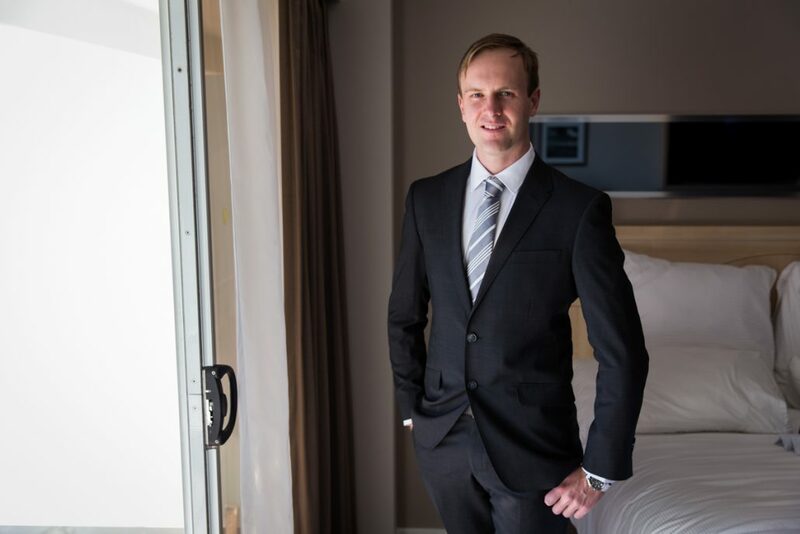 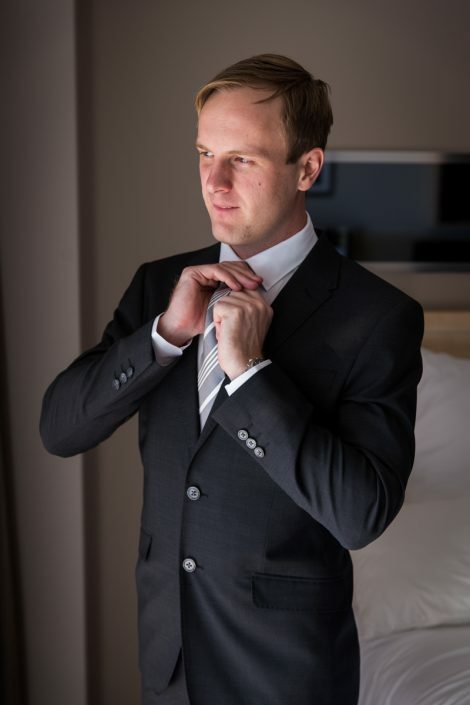 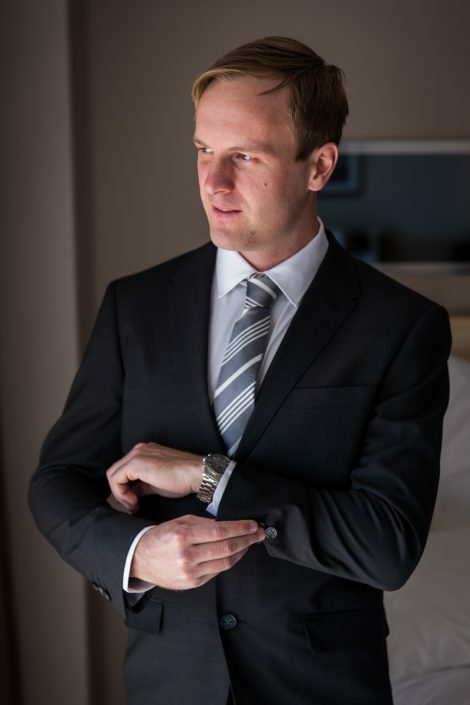 Lucas has been a wedding photographer in Brisbane for over 2 years and has a great understanding of some of the best locations to photograph. 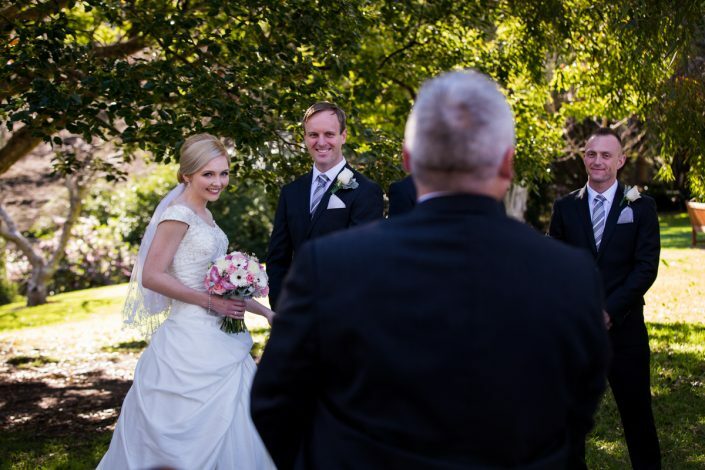 We conducted the location photographs onsite. 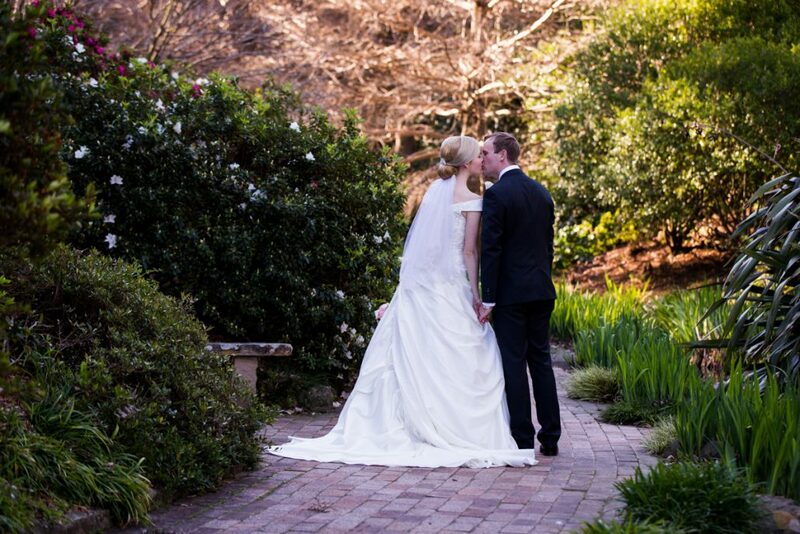 Roma Street Parkland has some very creative gardens which provides the ideal backdrop for wedding photos. 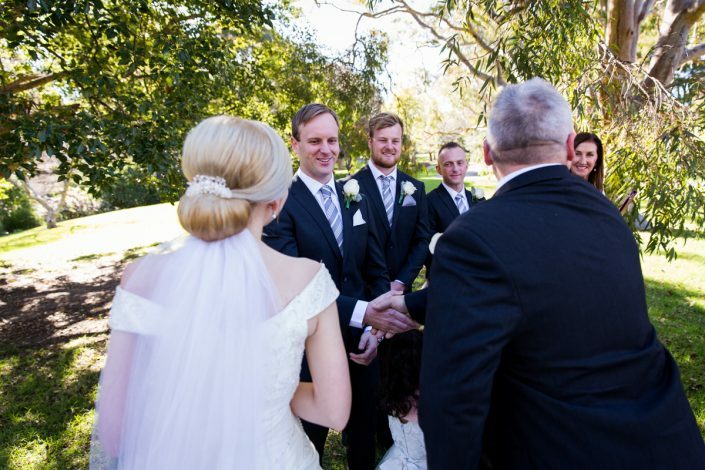 I was lucky in that I had an ample amount of time do conduct both bridal party photos and bride and groom photographs. 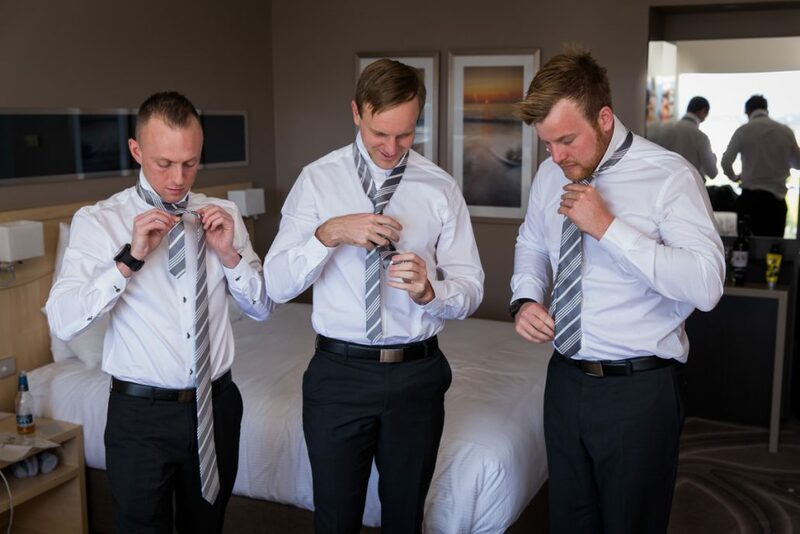 It was relaxed, fun and we even had time to have drinks an snacks. 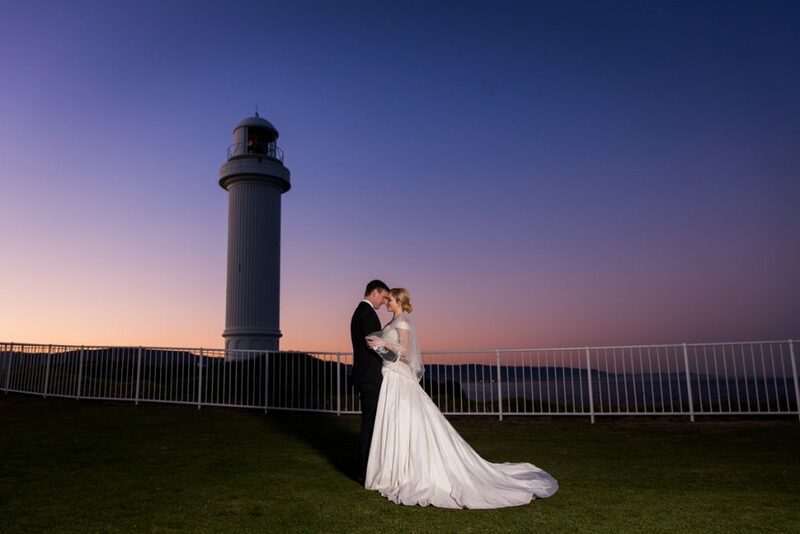 We also managed to get some sunset photographs down at the lighthouse. The reception was at Eves on the River and was attended by over 120 guests. It was a pleasure to photograph both Rachel and Joshua in both their engagement shoot and wedding. They are not camera shy, natural at posing and the wedding photographs came out great. 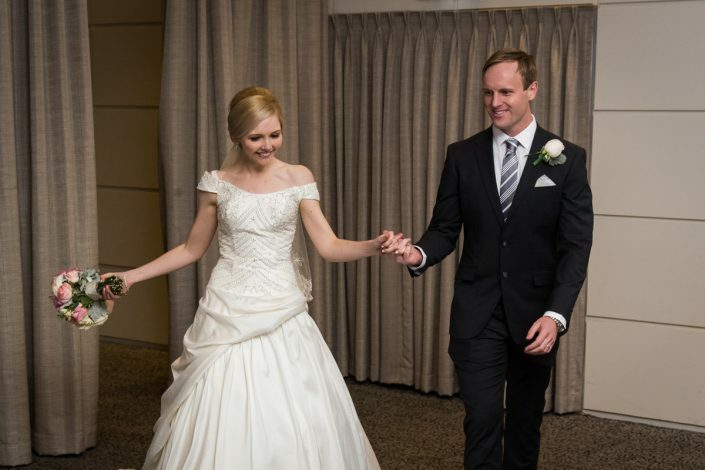 We wish Rachel and Joshua all the best. 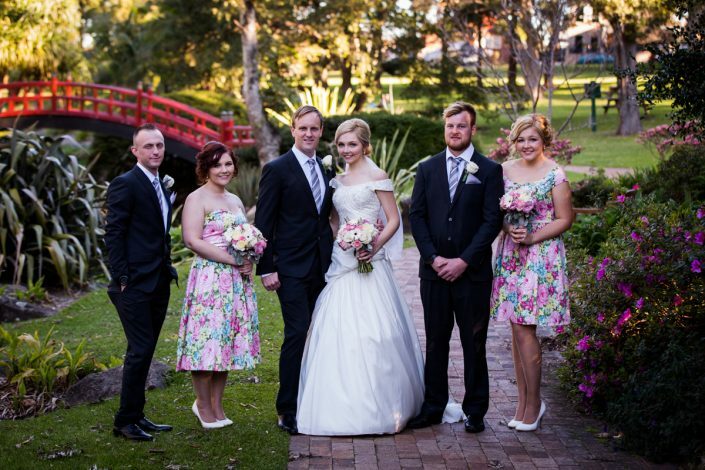 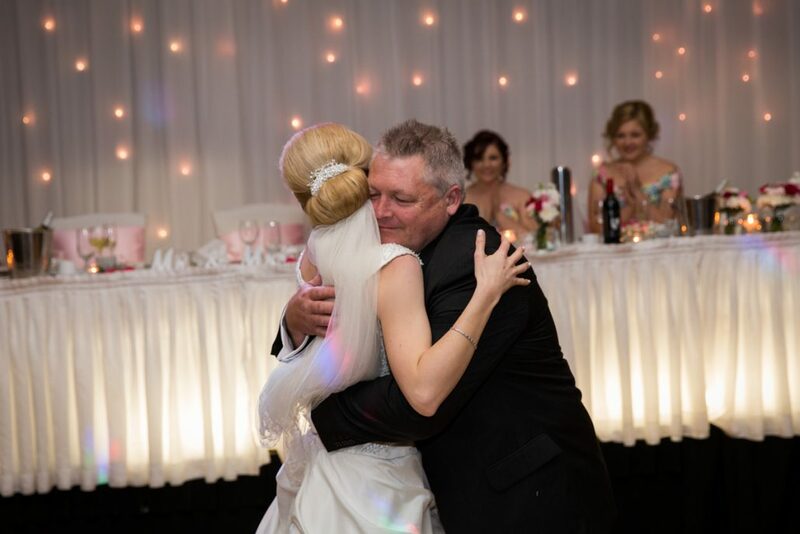 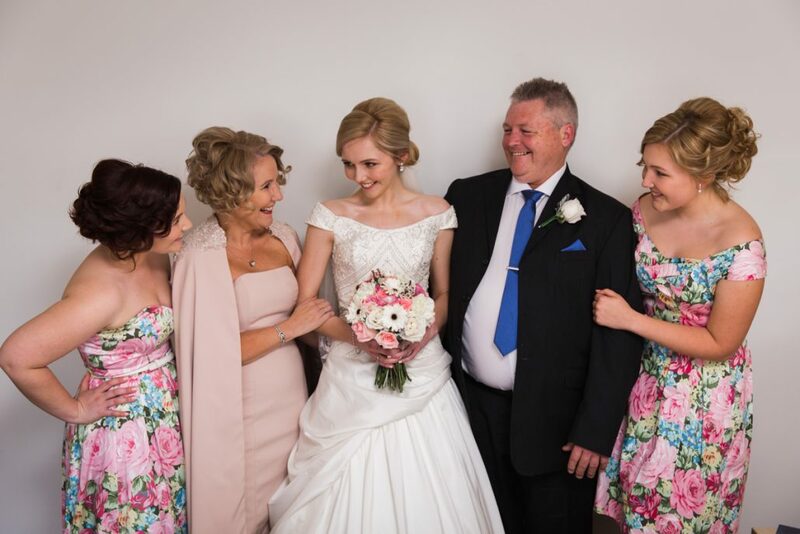 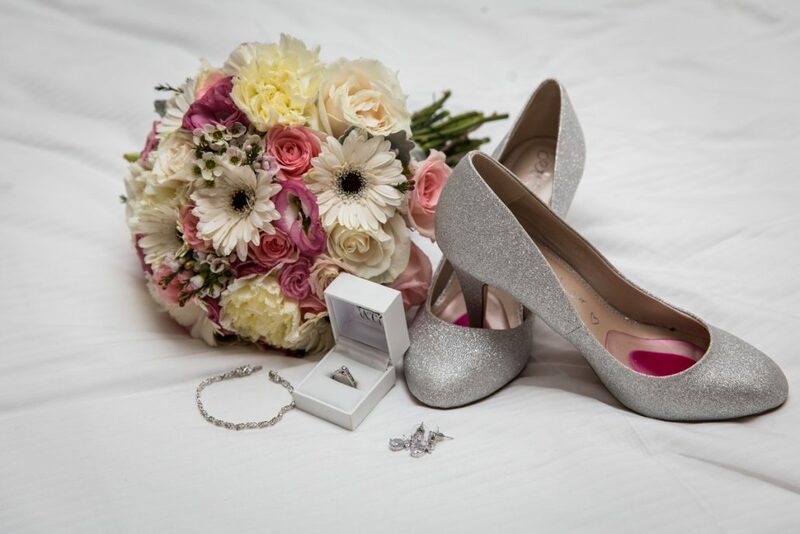 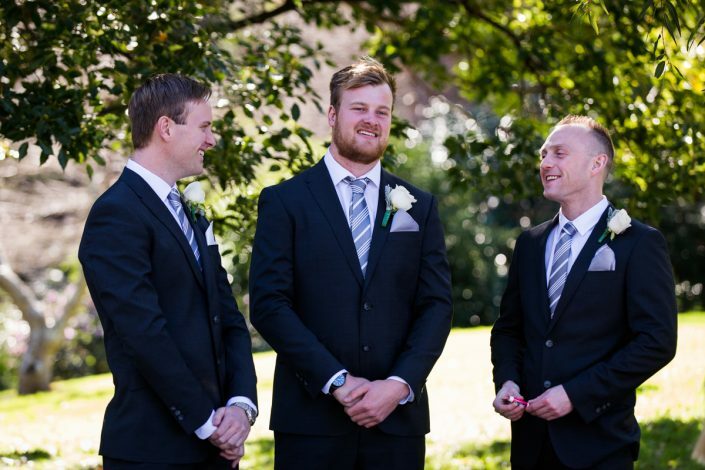 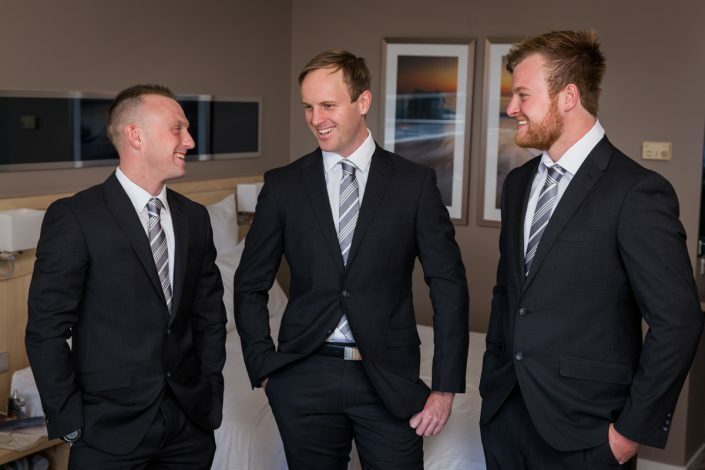 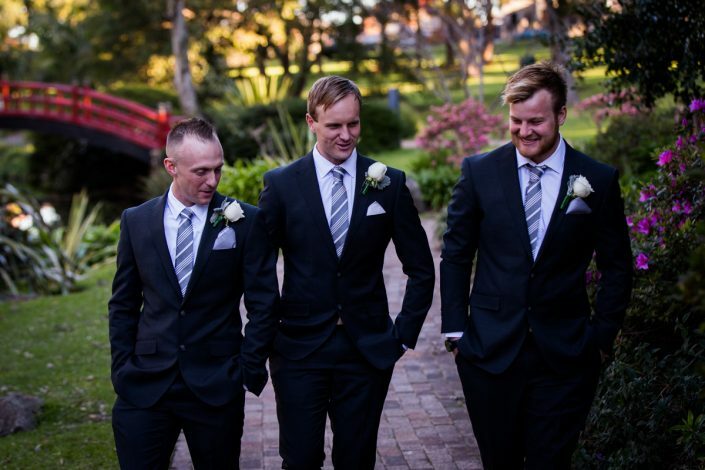 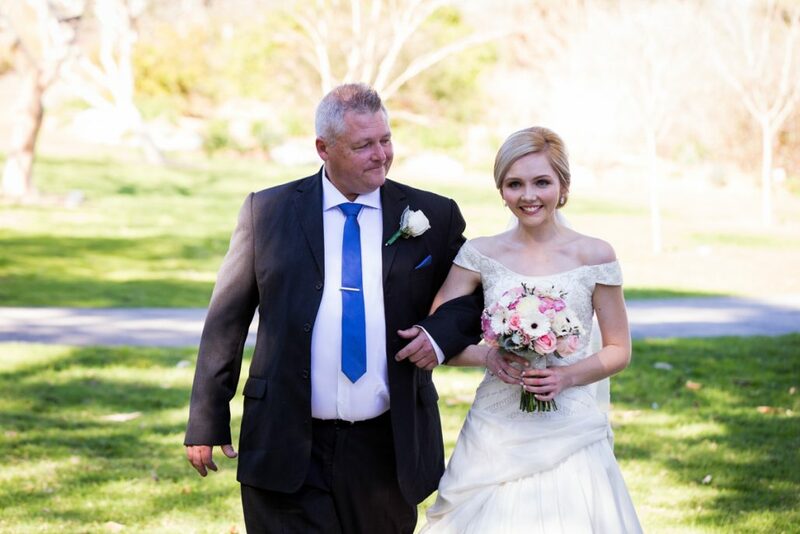 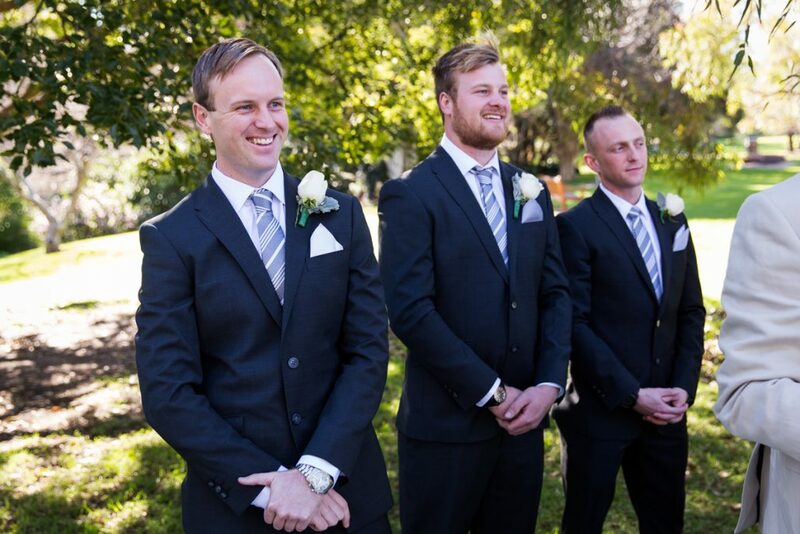 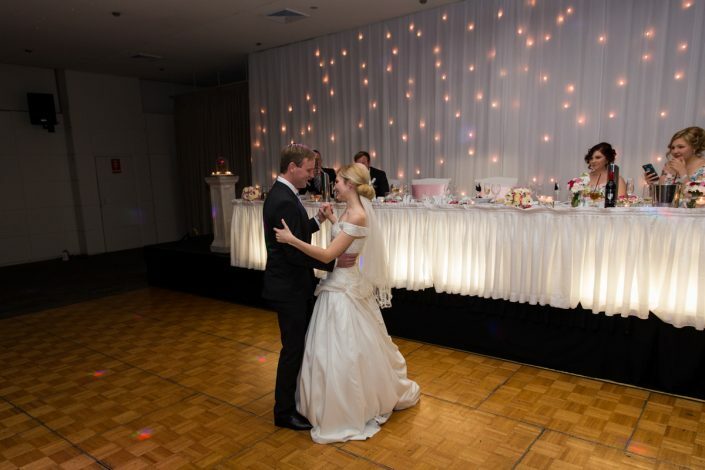 If you are looking for a wedding photographer in Brisbane, please visit our Contact Page. 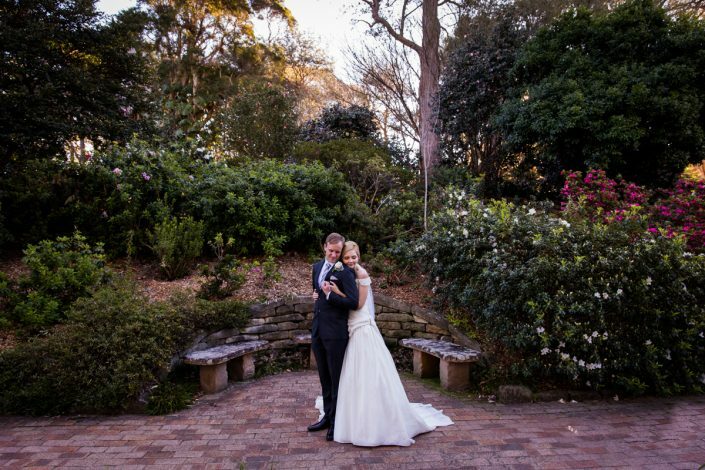 Hello Lucas we are looking for a wedding photographer in Brisbane for 18/10/17. Are you available?